When your stomach cannot take another weekend full of cheep beer, take a break from the typical college drinking scene and throw an intimate wine and cheese party for your close friends. Purchasing. When buying the cheese, make sure to get about 1-2 ounces of cheese per person and one bottle of wine for every 5-6 people. Buy at least three types of cheese and a bottle of wine to accompany each of the cheeses. Make sure to try the cheeses if possible before you buy them! The farmers market is a great place to buy locally made, fresh cheese. Diversity. Try to diversify the cheese plate as much as possible. Choose a goat’s, cow’s, and sheep’s cheese. Try varying the textures and flavors of the cheeses–don’t just buy all mild, soft cheeses, for example. Be creative! Try including a grilled cheese sandwich or macaroni and cheese in your menu and experiment with pairing a wine with it (see #6 below for more on how). Add Extras. Other foods such as crackers, sliced baguette, fruits, berries, nuts, olives, and sliced meats can be served with the cheeses. Some simple pairings that go together: honey and pecorino, olive oil and mozzarella, berries and goat cheese, and walnuts or strawberries with brie. Presentation. Make sure to put space between the cheeses so that the flavors do not mix, and make sure each cheese has a different knife. Use real silverware, but don’t worry about buying cheese knives or purchasing a cheeseboard–a wooden cutting board is a find substitute. Temperature. Serve the cheese at room temperature to taste their fullest flavors. Sparkling wines and champagne should be chilled at least an hour before the guests arrive. Tip: Use your sink as a wine cooler–put the stopper in the drain and fill with ice. Wine Pairings. 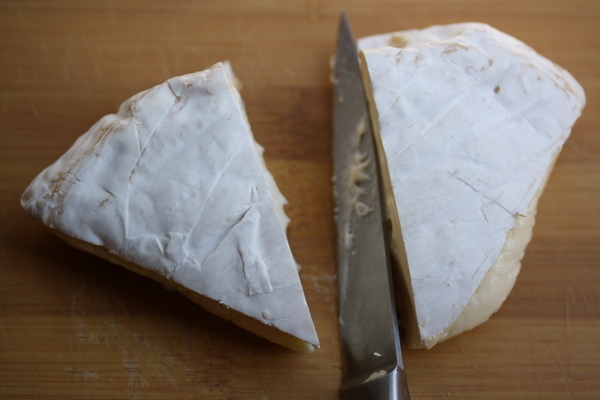 As a general rule, lighter cheeses go with lighter wines. Wines and cheeses from the same region often go well together. Make sure to let the guests know what wine goes with what cheese. Sparkling wines go well with mild, buttery cheeses like St. Andre and young wines like Sauvignon Blanc go with young cheeses such as Humboldt Fog and other goat cheeses. Medium bodied wines such as Pinot Noir go with stronger cheeses like cheddar or Gruyere. Dessert wines surprisingly go with blue cheese. Tip: Since buying wine and cheese for your friends can get pricey, you may want to have each guest bring a different bottle of wine–make sure to suggest a type of wine for each guest to bring. Ambiance. A wine and cheese party is more of a small gathering than a large party, a low key event. Put on some classy records, sit back, and enjoy sampling your wine and cheese with your friends. Candles and a tablecloth will make the room festive, but not too fancy. Some music suggestions: Amelie Soundtrack–Yann Tiersen, Everybody Digs Bill Evans–Bill Evans, Bird–Charlie Parker. It could be a nice and helpful piece of facts. I’m fulfilled for you to distributed this handy information and facts around. Please keep us well informed similar to this. Thank you giving.